We love providing linens at The Barn at Shady Lane. 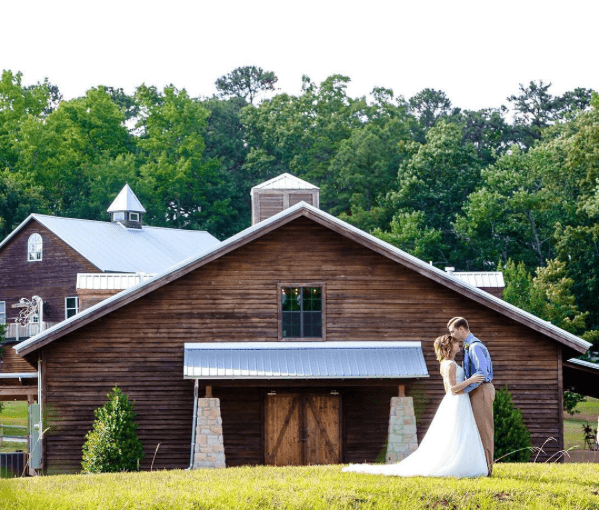 Is a beautifully constructed free standing barn located about 20 minutes from downtown Birmingham. Because of its proximity to the city and rustic surroundings, their popularity has soared. 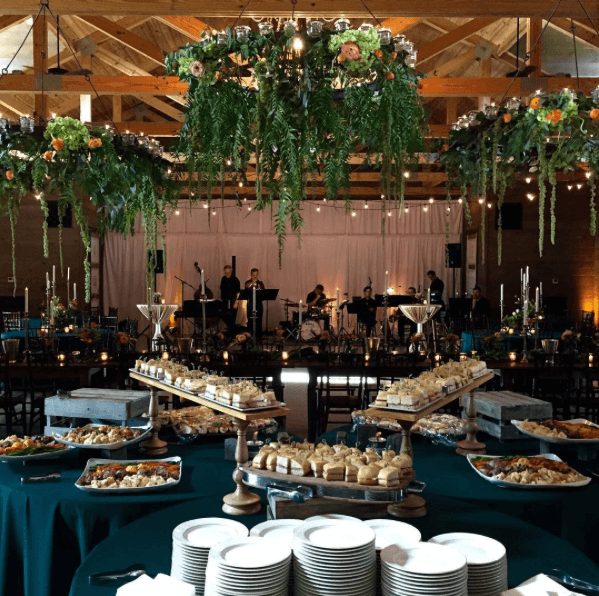 When looking for a Birmingham venue, that is a quick drive from downtown, this is a great choice for many southern brides! The barn itself is around 4,300 square feet not including the covered patio out back. With the very recent expansion of the covered patio, there is now room for even more guest seating, lounge furniture, cocktail tables, and bars. This all can be used for more reception space when the large double sliding barn doors are opened. Our most popular linens for this space are our Dupioni linens in tan or ivory. They offer a sophisticated look on either the shiny or matte sides. 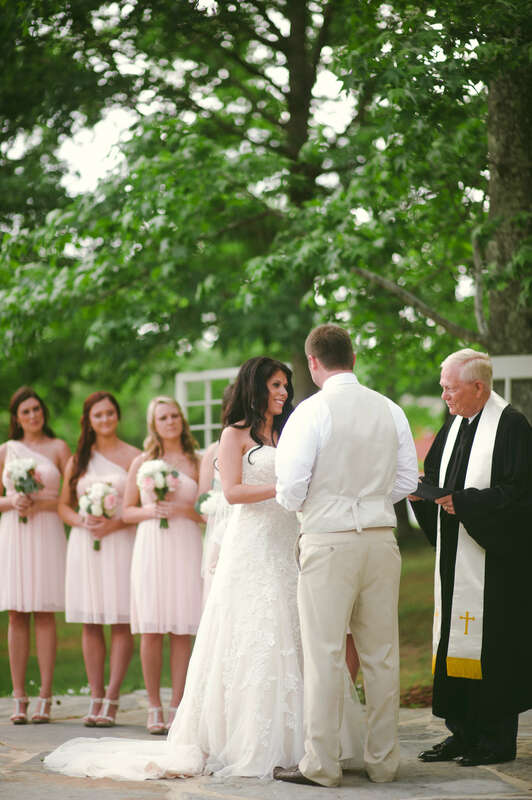 The Barn also offers a romantic outdoor ceremony space with a long stone aisle that leads up to the arbor where the couple can be married and space for the wedding party to stand alongside. 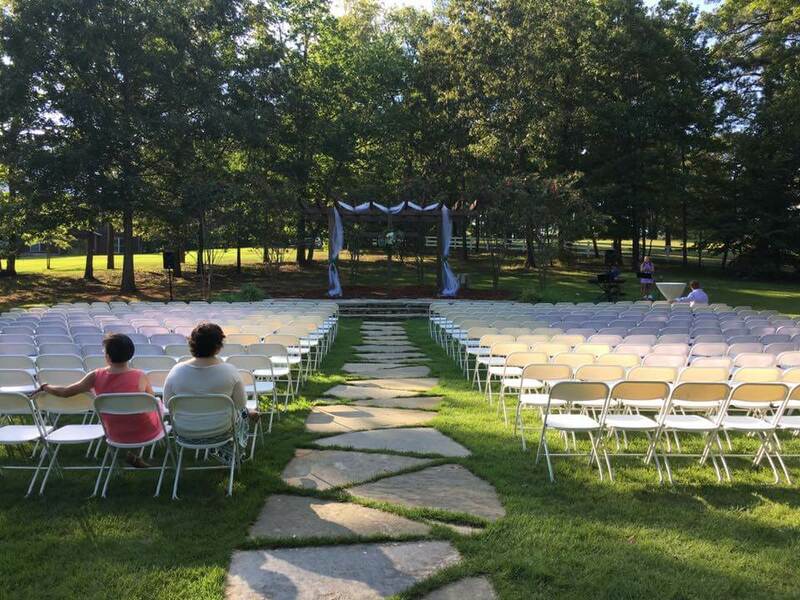 Chair rentals, pew rentals, or benches can be set up for guests to watch the ceremony. 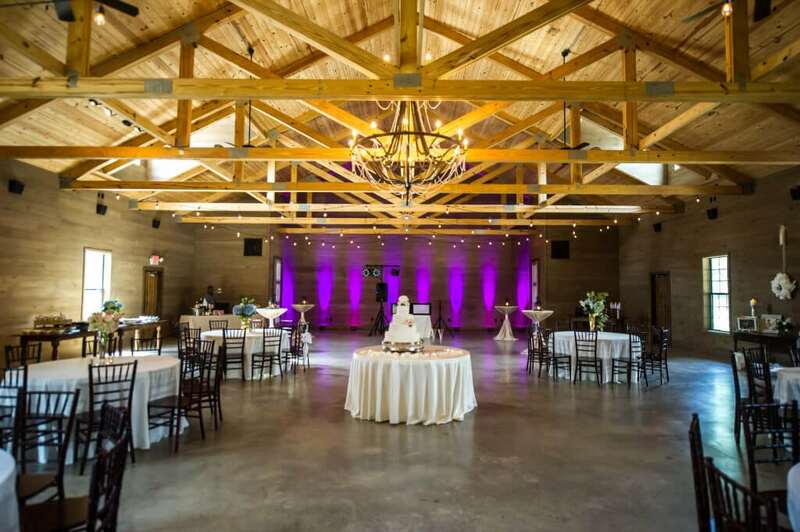 The center of the barn features a large handcrafted “custom built, hammered iron chandelier by local craftsman, Darren Hardman“. 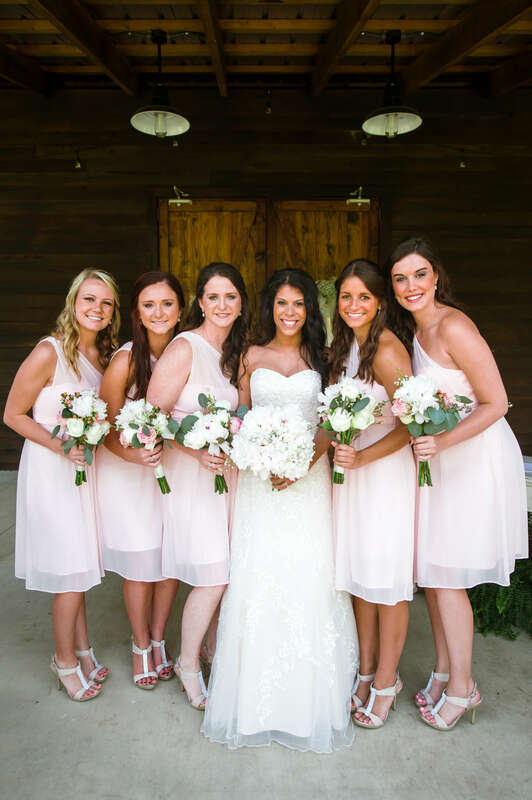 A few perks of The Barn At Shady Lane include the bridal loft. 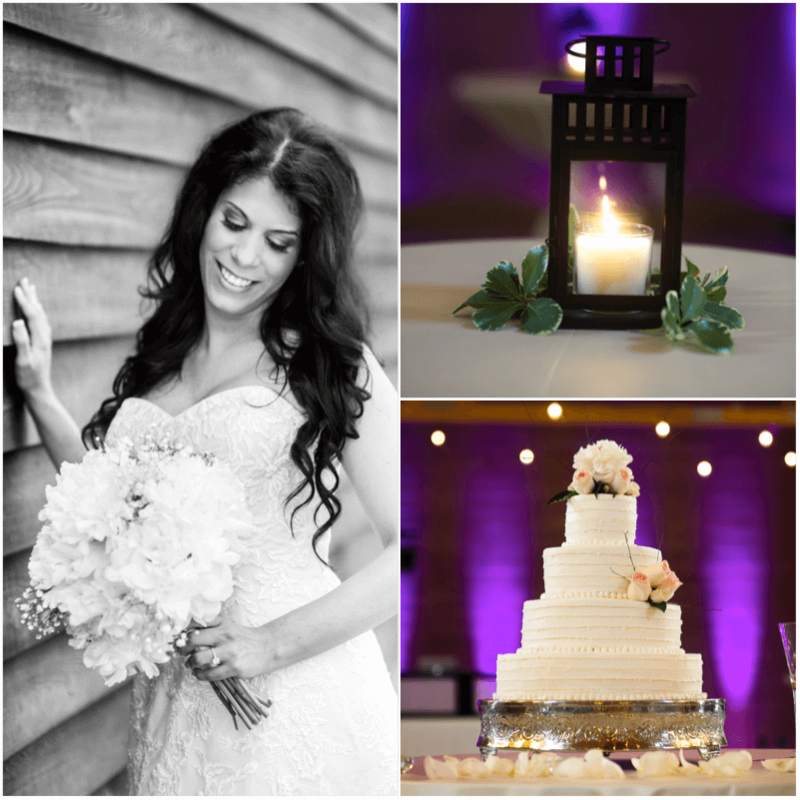 The loft looks over the downstairs of the barn and provides a comfortable and convenient locations for the bride and her girls to get ready. Don’t let the rustic exterior fool you, The Barn seriously offers some of the coldest air conditioning of any venue in town. Having worked with The Barn at Shady Lane we can personally say the owners are wonderful to work with and this unique space is already so beautiful on its own, it doesn’t need much added to make for a magical wedding. 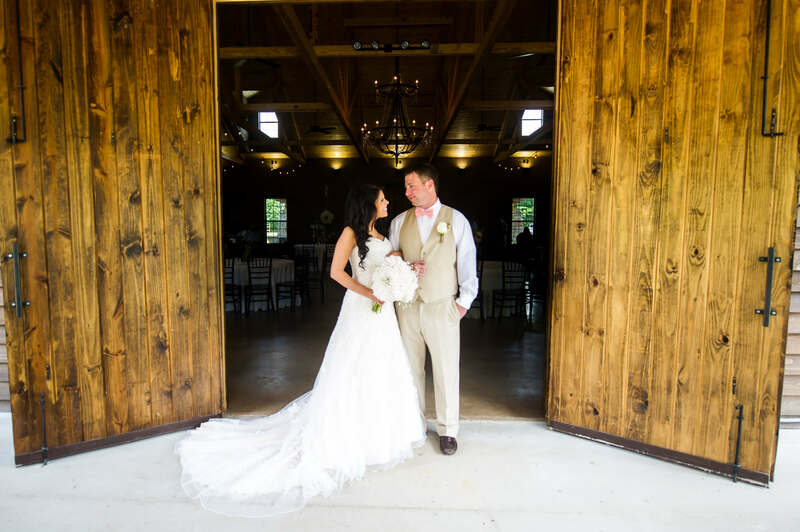 If you’re interested in booking your wedding or any other functions at The Barn at Shady Lane they can easily be contacted on their website or by phone or email at ShadyLaneInfo@gmail.com.